There are two extra parts of a commercial inspection that differ from home inspections. This includes parking and fire safety. Meaning exits, stairwells, sprinklers, elevators, furnaces, pools, and carpets. 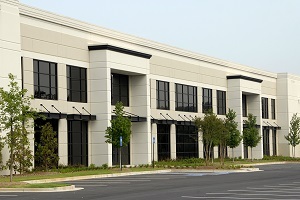 Commercial property inspections typically occur during the closing of a sale, just like home inspections. If you are investing in an office building or a movie theater, it is important to ensure your investment is sound from floor to ceiling and free from harmful pollutants. Sellers want to make sure the commercial property inspections are done because prior occupants or patrons of the building may have been affected or caused damages. When deciding on a location for a commercial property, there are a few significant parts that come to mind: location, size, and parking. The most vital part is the potential for repair costs. If your roof or HVAC system needs repairs, then this will increase your overall investment. This is why a pre-purchase inspection is so important. An inspector will get your due diligence done and guarantee that you have an informed decision when it comes time to choose a property. Apartment buildings have multiple different rooms and floors, which means the inspector has to do a longer and more extensive inspection. Restaurants have different health codes that need to be kept up with, and the inspector will have to ensure that all their appliances are up to code. Office buildings are generally multi-floors, so there will be an extensive HVAC system to inspect. Warehouse inspections have to place most of their focus on roofs of the buildings. Most commercial properties are larger than your average home. This translates into more time and effort for the property inspectors. This can include bringing in a team to cover more group quickly, or for inspections to occur over multiple days, especially if machinery or staff need to be moved out of the way during the inspection. This, combined with the variety of inspections needed for the varying types of commercial property, translates into more time for inspectors, and therefore more billed hours on the clock. Make sure to talk to your inspector and request a consultation on the likely time for inspection and any impact it might have on your operations. Need more information on commercial property inspection before you buy your next business? Contact the Homeinex Corporation today. We have experienced staff and quick service, and we’re also accredited by the BBB with an A+ rating. Check out what our comprehensive home inspection covers, and then contact us today for an appointment.